There are different grades of mind. Realisation is of Perfection. is to be sarvam (the all); `the all' pertains only to the mind. The known and unknown together form `the all'. After transcending the mind you remain as the Self. The present knowledge is only of limitation. That Knowledge is unlimited. Being so it cannot be comprehended by this knowledge. Cease to be a knower, then there is perfection. "What do you care for the body? Practise bhakti and don't worry about what happens to the body." know well, dear self, that you are your own boss. exert your highest purushartha and take yourself to the goal that you have set for. Uddharet Atmanatmanam says Krishna. Grace is like the silent letter in a word. Do not pay that much attention to Grace. Grace descends of its own accord upon the sincere exercise of your fullest will. Do not delude yourself with imaginations that due to the grace of God a magic carpet will come and take us to the destination. Strive diligently. The less we depend on grace, the more it flows. பரசிவ வெள்ளம் is like an Upanishad. अपौरुशेय - apouresheya - not a work of a mind. it has flowed like Ganges. என்னிடத்தே சக்தி எனதுயிரிலும் உள்ளத்திலும் நிற்கின்றாள். 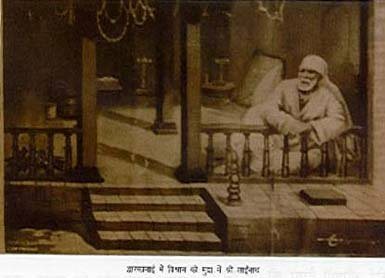 நிமிஷந்தோறும் அவளுக்குப் புதிய கோயில்கள் வேண்டும். இந்த அநந்தமான கோயில்களிலே ஒன்றுக்கு ?நான்?என்று பெயர். இதனை ஓயாமல் புதுப்பித்துக்கொண்டிருந்தால் சக்தி இதில் இருப்பாள். இது பழமைப்பட்டுப் போனவுடன், இதை விட்டுவிடுவாள். இப்போது எனதுயிரிலே வேகமும் நிறைவும் பொருந்தியிருக்கின்றன. இப்போது எனதுடலிலே சுகமும் வலிமையும் அமைந்திருக்கின்றன. சென்றது கருத?மாட்டேன். 'நாளைச் சேர்வது நிக்க??மாட்டேன். ?We can put a fence around the land! Can we put a fence around the sky (space)?? We can bind the inert. Can we bind Shakti? We can tie the body. Can we tie the life within? Shakti is within me, in my life and in my mind. She needs temples every second in the Time which is beginning-less and endless. Of these endless temples, one of them is named 'I'. 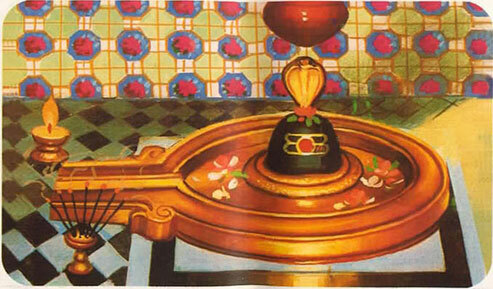 If that is continually kept renewed, Shakti will stay inside it. If it (the temple) becomes old, she will leave it. Now she is fully within me. Now in my soul, there is speed and completeness joined well. Now inside my body, happiness and strength are well settled. Now in my mind, clarity is established. 'What is gone? I will not think about. 'What is coming tomorrow? I will not think about. Now Shakti adorns within me. Let her be there forever. I adore her. I worship her. I praise her in my mouth ceaselessly. You are awareness. Awareness is another name for you. Since you are awareness there is no need to attain or cultivate it. All that you have to do is to give up being aware of other things, that is of the not-self. If one gives up being aware of them then pure awareness alone remains, and that is the Self. The world does not exist without the body, the body never exists without the mind, the mind never exists without consciousness, and consciousness never exists without the Reality. The Self is ever present. Each one wants to know the Self. What kind of help does one require to know oneself? People want to see the Self as something new. But it is eternal and remains the same all along. They desire to see it as a blazing light etc. How can it be so? It is not light, not darkness. It is only as it is. It cannot be defined. The best definition is `I am that I am'. The Srutis (scriptures) speak of the Self as being the size of one's thumb, the tip of the hair, an electric spark, vast, subtler than the subtlest, etc. These descriptions have no foundation in fact. It is only being, but different from the real and the unreal; it is knowledge, but different from knowledge and ignorance. How can it be defined at all? It is simply being. it never came to you and that you have always been Sat Chit Ananda. One goes through all sorts of austerities to become what one already is. Consciousness is the mirror on which awareness shines. Without the mirror the awareness cannot know itself. Consider yourself present in a completely dark room, where there is no light absolutely, whatsoever. You do not need a light or somebody else to be present there along with you to know that 'you are', you know 'your are' inherently and you did not need to know that 'you are' such is awareness, which does not need a confirmation. When you look at the mirror, you did not need to look at the mirror to know that 'you are' this is awareness. When you did look at your reflection in the mirror, it still did not make any change in the reality, you continue to exist, but your reflection is seen on the mirror, this is consciousness. The nonexistence of mirror (Consciousness), does not eliminate you (awareness) You got to know your reflection only because 'you are' i.e., consciousness is known only because of awareness. Consciousness cannot exist without awareness, whereas awareness has no non-existence. the Non existence of consciousness does not eliminate the awareness. Consciousness is Shakti, Awareness is Shiva. See the essence of first verse of Soundarya Lahari - "Only when Shiva is united with Shakti does he have the power to create"
Awareness is only 'known' 'felt' or 'inferred' as "i am" only because of consciousness. But Your yourself do not need to know "you are". Simply to know "you are", awareness sports itself as consciousness. Therefore, in this way, consciousness shines in awareness. To know "I am" is merely to see yourself in the mirror of consciousness as "I am" you did not really require it. This is the eternal divine Hide and Seek. Simply to know what "is" what is "Not" came about. to know what is white, black came about. Many old direct devotees are to be seen. Salutations to the consort of Parvathi who has a blue neck. He who is seen with beings equal to devils and ghosts. Salutations the to consort of Parvathi who has a blue neck. Salutations to consort of Parvathi who has a blue neck. Sai, look at us mercifully, and take care of your children. You know this mundane world, this world full of illusion. I am blind and ignorant devotee of yours, give me God?s vision. Look at me mercifully, O my Sai, without you I have no one ? no mother, no father, no brother. Look at me mercifully. or the rites. Look at me mercifully ?. made no lasting friend for the final journey. Look at me mercifully ?.. And you, Baba Sai, you are our Lord. Look at me mercifully?? When you wholly depend on God, then there no longer any dependence. Only once can one really surrender, only once can one really prostrate. Then it is all finished! "Do you believe God?". The answer was "Yes". 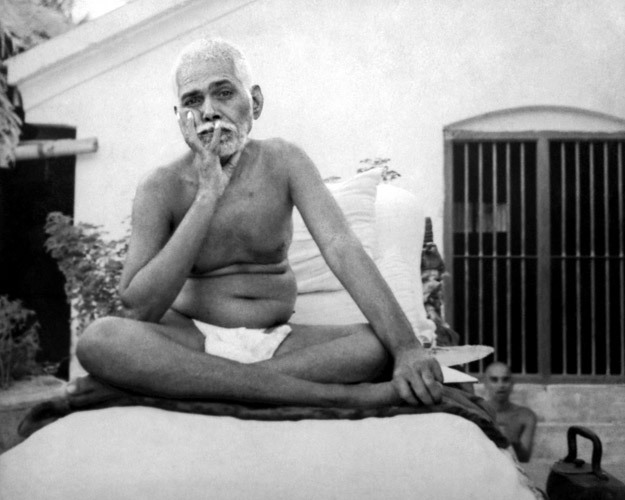 Then Bhagavan told him to leave that task to God. Sri Bhagavan says that even to perform tapas with the intention 'I should become an instrument in the hands of God' is blemish to complete surrender, for the desire to be Hid instrument is merely another stealthy means by which ego seeks to retain its individuality.